Toronto to Terni: Florence trends. If you know me, you know I absolutely love, love, love fashion. So you can imagine how easy it is to drool over the shops here in Florence. Since I'm on a tight budget, all I can really do is window shop. It's also a great city to get inspiration, just by looking at the fashionable Italian women on the streets. They are so effortlessly well put together and...is it just me? But why are most of them so damn gorgeous? 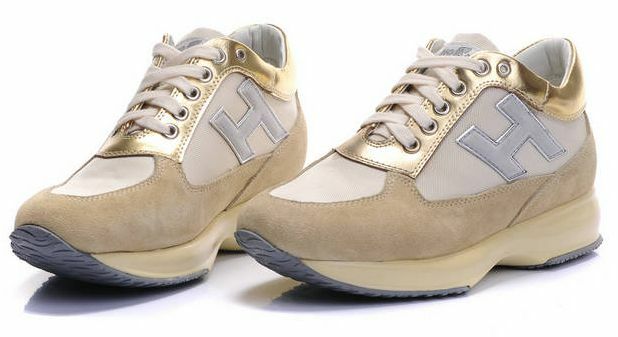 Yes, these are sneakers by Hogan. A luxury fashion designer who's outerwear I really admire, however I cannot stand the sight of these hideous things. It's really unfortunate because often, I see a beautiful model-like Italian woman in the street wearing such a beautiful outfit with the perfect accessories from head to...well ankle, I get to her footwear and I just cringe! And to make things worse, these eyesores go for a few hundred euro! I know it's not just me. I know you're thinkin' what I'm thinkin'. These have a very disturbing resemblance to yes, the Sketchers Shape Ups. I'll let the picture speak for itself. 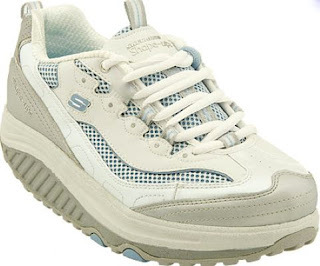 I don't care who wears these or what fashion capital is rocking them... They are BUSTED UGLY as hell and shame on Hogan!! Thanks for the kind comment over on my blog ! I actually live just south of Rome in the Pope's summer resident city. Its a beautiful place. Omg tree, I can only imagine what a trendy little hottie like you is going thru, I have to restrain from shopping as well, just for a bit longer. But seriously, glad that you will not be conforming to all trends...ewww.